Years ago customers would learn more about your business through an in-store visit than anything else. Mainstream business marketing consisted of word of mouth, television commercials, newspaper ads, postcards, and the good old trusty yellow pages. Today, according to a 2016 Local Consumer Review Survey done by Bright Local, 95% of consumers have gone online to find new businesses in the last 12 months. 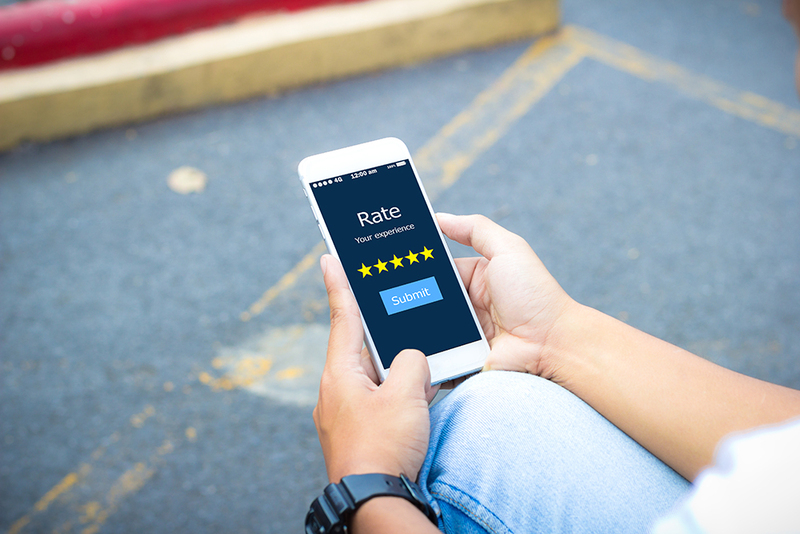 Positive customer reviews have become the most important tool that businesses now have to set themselves apart from the rest of their competition. This is because consumers feel that business reviews tell it like it is, leaving them feeling confident in what they will be getting for their time and money. Bright Local's survey showed that 72% of customers will take positive action towards a business after reading positive reviews, not only that but they are also willing to spend 31% more on a business with excellent reviews! For proof…look no further than Amazon.com. No one buys a product on Amazon that has a 1- star rating accompanied by a ton of horrible reviews. Almost 100% of first time consumers will buy the 5-star product because they know they are going to be satisfied! In case you’re at all unsure of the significance of positive reviews, look at statistics to act as your voice of reason. The proof is always in the statistics. Bright Local's 2016 study also revealed that star ratings are the #1 point of reference used by consumers to judge a business. While a whopping 88% of people trust online reviews written by other consumers as much as they would trust recommendations from their personal friends! Now that’s pretty trusting! Keep In mind the importance of keeping your reviews current, as 73% of consumers think that reviews older than 3 months are no longer relevant. It is clear that your salon’s online review presence is the most powerful source in gauging the amount of new clients, client referrals and the majority of foot traffic you get at your salon. Right now more than ever, is the time to take advantage of tools that focus on positive client review generation for your salon! You need to develop skin in the game while this rising trend is still somewhat young; do this by simply emailing your clients after their service, asking them to write a review about their experience while it’s still fresh in their minds! If you're worried about pestering your clients… don’t be! Your clients most likely read your reviews to find your salon in the first place and actually appreciate the polite fact that you care enough to ask how their service went! In 2016's Consumer Review survey, it was actually reported that 7 out of 10 consumers will leave a review for a business if they are asked to. Okay, so let’s think about this. 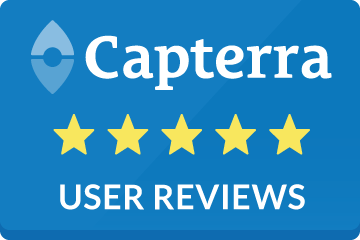 Let’s say you have 10 clients a day…well that’s 7 new reviews a day that you, yes YOU, have the power to generate! That’s pretty crazy, right?! At SalonTarget, we believe in the importance of online reviews so much that we have incorporated a tool in our cloud-based salon software called the online reviews accelerator. This unique tool will automatically generate positive reviews for your salon after a service by systematically contacting both first-time and regular clients just enough through email to get them to love you online. 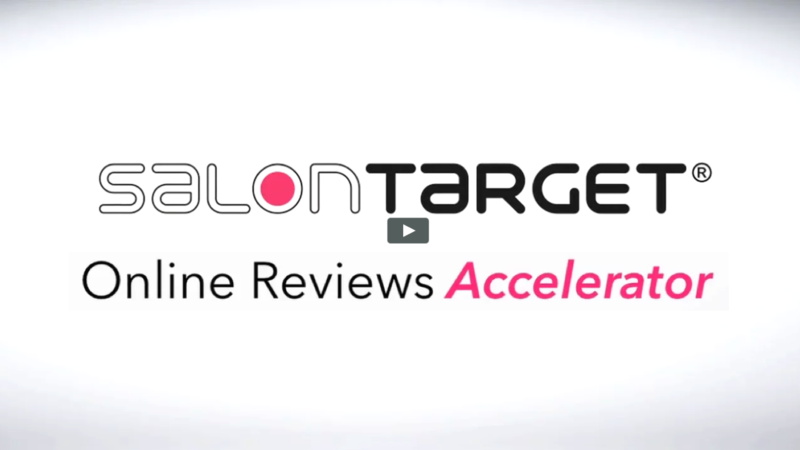 SalonTarget reviews accelerator makes it effortless to drive 5-star online review traffic straight into your salon chair! 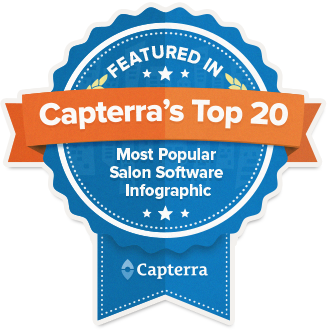 Are you ready for 5-Star online ratings for your salon? We’re happy to help! Call us today at 1-800- 424-7629 for more information and special pricing!